I’ve mentioned before that I easily get very dry hands, even more so during fall/winter. Therefore it’s important for me to moisturize my hands after every time I’ve washed them, and at work is no exception. These are all the products that I keep in my workspace. Since I try a lot of different hand care products all the time, the products vary every now and then. But right now this is what it looks like. Plus at work is a really good place to try new stuff. Right now I have three hand cremes, but I usually have two. It’s always good to have options. And besides two of them are small sizes, so they’ll get used up pretty quick. I have one cuticle oil, one mini bottle of Seche vite for emergencies, a nail scissors, two mini crystal files (the one from Essie is a bit rougher than the one from OPI) as I said options are always good. And lastly I have two different lip balms depending on what scent I want, pink grapefruit or mint. What products do you keep at your desk? I have tried a lot of hand creams, and I like to try new ones when the old ones are empty. But I have a few that I always end up buying again and again. Avoplex from OPI and Many many mani from Essie are two of them. Both hand cremes smell lovely and they sink into the skin really fast while still keeping the hands moisturized. They are my favorite hand cremes to use during the day, since they don’t leave your hands greasy. The only downside is that I can’t find Many many mani anywhere in Sweden, so I always have to stock up when I’m abroad. 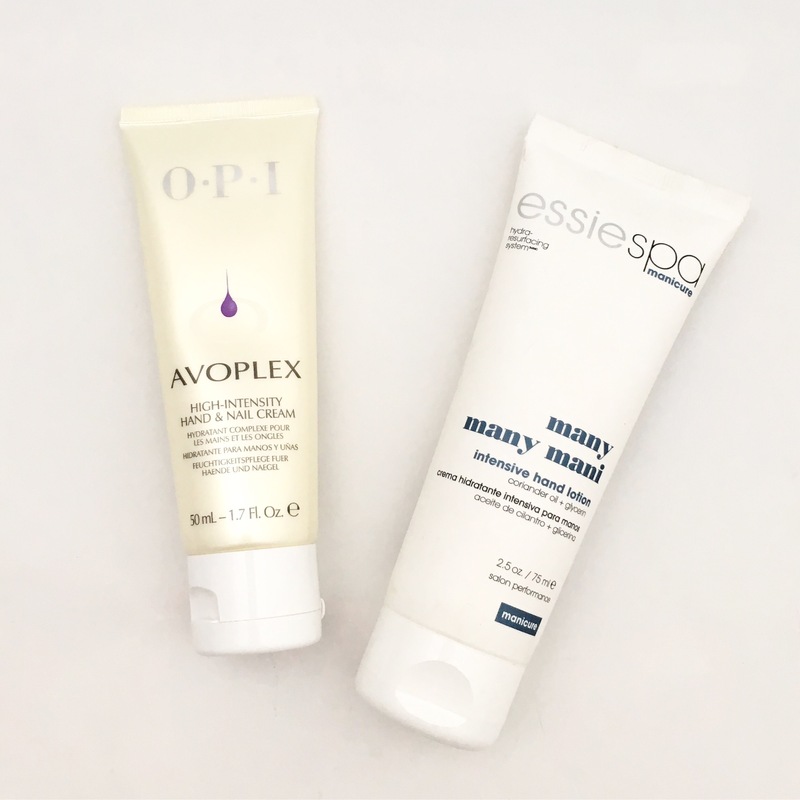 Which hand creme is your favorite?